I'm a huge proponent of making homemade oatmeal. It always turns out tasting better than the packets you buy at the store and it's much easier than most people realize. 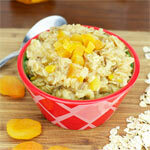 It's a simple matter of boiling the oats and then adding whatever flavors you can think of. 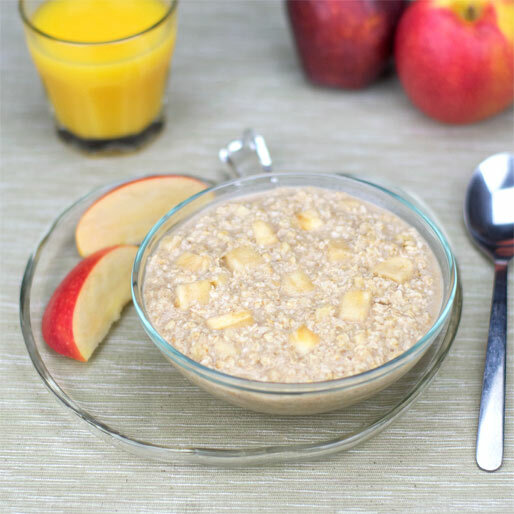 This particular oatmeal tastes like the Apples And Cinnamon name brand varieties... but much better because you get the true flavor of fresh apple. 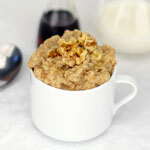 To make it extra special, drizzle some maple syrup on each serving and top it off with a sprinkle of chopped walnuts. Place water, juice and apples in a medium saucepan and bring to a boil. Stir in the rolled oats and cinnamon. Return to boil, reduce heat and simmer until the porridge is thick. Serve hot with milk and an extra dash of cinnamon. 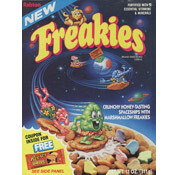 Definitely better than the packet oatmeal with the same name. This has double the flavor with diced apple and apple juice. 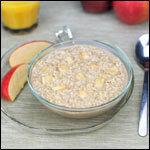 What do you think of Apple Cinnamon Oatmeal? Liked it a lot. Only thing I changed... added 2 teaspoons of brown sugar at the very end... felt that it needed just a little more sweetness. Easy and tasty! I chopped up the apple a little smaller than you did. Great recipe. Thanks! 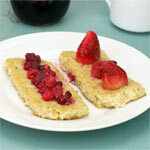 This recipe is something I remember when I was traveling and wanted to make a simple meal that will keep me full for a long time... now at home instead of using juice I like to add protein powder just before serving... this saves adding sugar... even after that any sweetener is needed, I add honey. Apple, honey and cinnamon is killer combination. Agreed... much better when it's homemade. I used a cortland apple just because that's what we had. It wasn't tart, but everything still tasted great, so maybe you don't need to specify "tart" apple. Thanks for your recipes. Nom nom nom (the sound of me eating and loving it). The milk part confused me... we're not supposed to mix it in right? A lot of people like their oatmeal with a splash of cold milk on top. Then you get a mix of cool and warm in each bite and it makes it more creamy. The milk is optional in this recipe. I did not have apple juice, but it was still delicious!! I recommend it to everyone!! This recipe was great. I didn't have apple juice, so I used fruit juice instead and it was fine. I felt like it needed to be a tad sweeter, hence I added brown sugar and extra cinnamon. Thanks! Great. Don't know about the tart apple part. I used a red delicious apple that was quite sweet and it still turned out good. I'll make this again sometime. Thanks. I would rather chop apples up than use juice but that's just me. I used apple cider and chopped up a granny smith very good. I wanted to try this but had no apple juice, I opened a can of crush pine"apple" and used the juice from them... I topped the oatmeal with a single serving of strawberry yogurt instead of milk. It was soooo good!! 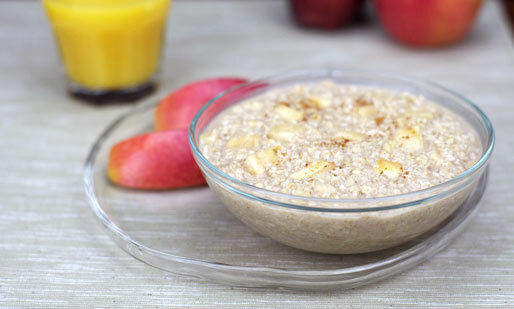 Make oatmeal according to directions on package then add 2 tbs of apple butter or more if desired sweeten with brown sugar if you have a taste for sweeter oatmeal I also like to add a little butter, the real stuff not margarine.